Imagine a time when you had to take the train into the city to pick up the parts required for your next job. Nowadays that seems a little inefficient but of course back then, there was no alternative. For some air conditioning businesses, waiting for paperwork to come back from the field with information about a job is normal, but for businesses using cloud job management software, paperwork is way too costly and inefficient. 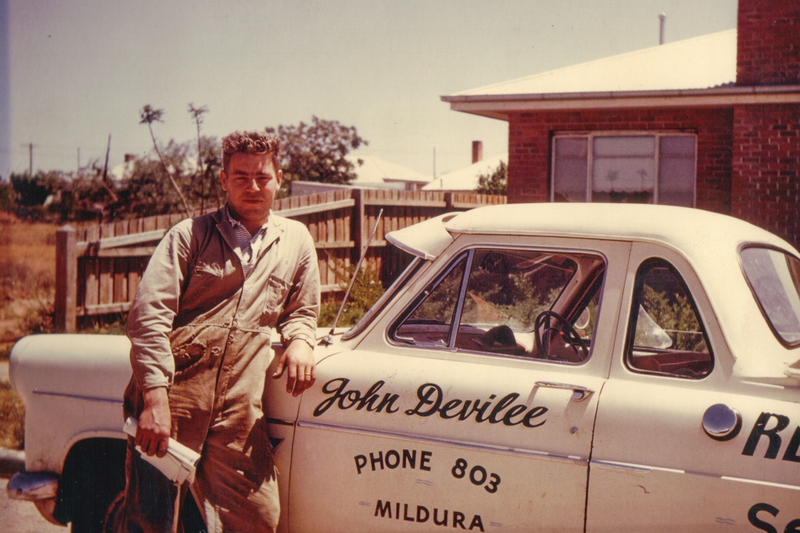 Back in the 60’s when Peter Devilee’s father began Devilees Air Conditioning & Refrigeration he literally caught the train from Mildura to Melbourne and back to get the parts required for his first job. Peter Devilee took over the family business 25 years ago. It was 6 years ago Peter began the search for a solution that would relieve them of the inefficiencies of paper. It needed to have a mobile app and substantial financial reporting capabilities. In fact the financial reporting was so important Peter decided to go with an accounting solution that came with the ‘promise of a mobile app’. The result was an estimated loss of around $200k in time and money. Eventually it was time to cut losses and invest in simPRO. That was 2 years ago. “It’s like anything, the more work you put into the implementation the better the result.” Peter Devilee, Devilees Air Conditioning & Refrigeration. Now they’ve got a system that does just about everything required to run the office and the field, and to seamlessly connect the two. Among the list of Peter’s favourite features is the visibility into any part of his business from job schedules to labour resources assigned to a job through to outstanding orders. It’s all there and available from a single search. An increasingly popular feature in simPRO Connect is the requirement to carry out Job Safety Analysis in the field before commencing a job. The team at Devilees conduct a ‘Take 5 OH & S Safety Questionnaire’ before they begin a job which is a common requirement nowadays particularly by larger corporate clients. In Connect, you can choose to enforce that the JSA is completed before the tech can begin the job. When a job is complete, it’s complete. No more paperwork. Peter’s decision to try an alternative package was based on their need for comprehensive accounting reports. Now, with simPRO, Peter says the reporting is in fact better than any other package he’s seen before. Whether Peter wants to see sales figures in comparison to recent months or even recent years, it’s all there. When it comes to reporting in simPRO Peter suggests the only problem is it’s all too easy to be tempted to check on the business from home in the lounge chair on the iPad.